Professionals at JLC will take care of your lawn mowing. Or customize a program tailored to your needs. Organic formula kills a variety of broad leaf weeds including dandelion and clover. We offer spring and fall cleanups. Leaving your property free of leaves and debris. Give your lawn the gift of aeration. 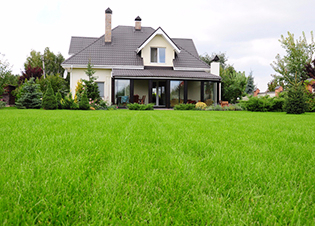 It's the most important thing you can do for your lawn! 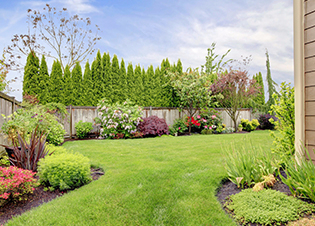 Annual bush, tree and hedge trimming can add curb appeal to your property. Take advantage of our slow release fertilizing programs for optimum growth all season. Keep your garden looking fresh and weed free. We offer garden design and weekly maintenance. From snow clearing to snow and ice monitoring, JLC provides 24/7 commercial and residential services. Smooth out your lawn and get rid of those little bumps and lumps! Grubs can quickly destroy your lawn. Our professionals know when the best time is to combat, treat and prevent damage! Trims in and around yards, fence lines, ditches, small or large fields, from industrial to residential. Create a brand new lawn or improve bare patches by adding top dressing and seed. 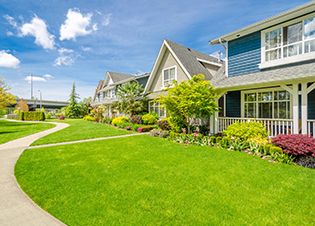 Keeping your lawn beautiful from spring until fall, we'll mow the lawn, edge your sidewalks and driveways and keep things looking neat and tidy. We also offer temporary holiday service while you're away. We provide all the services needed to make corporate properties look clean and professional. From weekly maintenance to spring and fall cleanups, trimmings and seasonal planting, JLC will leave your commercial landscape looking immaculate. We have packages for every budget and all of our work is fully insured.